In the dugout, freshly uniformed, and ready to play! He’s been ready for 4 years. He’s been playing his own pretend games, complete with pretend coaches, teammates, and playoffs for at least a year and a half. 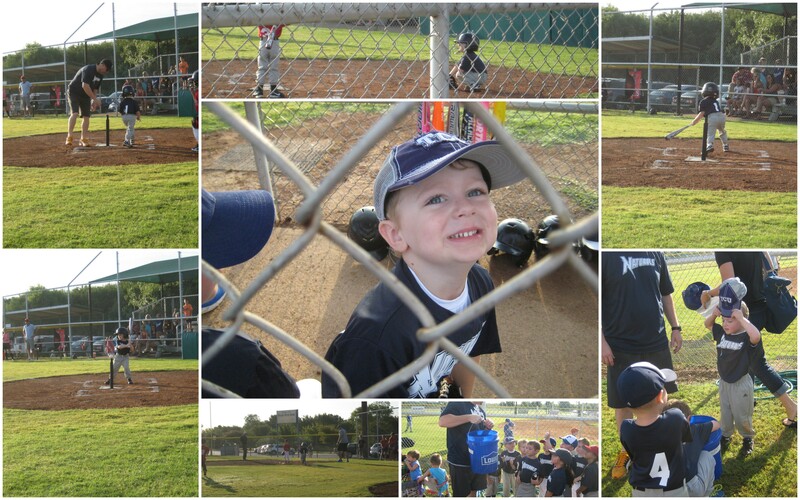 He has practically grown up on a baseball field, and today, he got to take the field, finally, for his very own game as a Natural! To say he was excited would be an understatement. No, I take that back. It would be THE understatement of the year. No, really. This is my non-morning child (he takes after me). He had an 8 am game, which meant he actually needed to be up earlier today than most school days. And he was SO excited that he didn’t even complain. After a pre-game breakfast of cocoa puffs (the breakfast of champions, you know), off we went to the KYA fields. At the field he and Daddy went into the dugout and hung up his bag and bat. 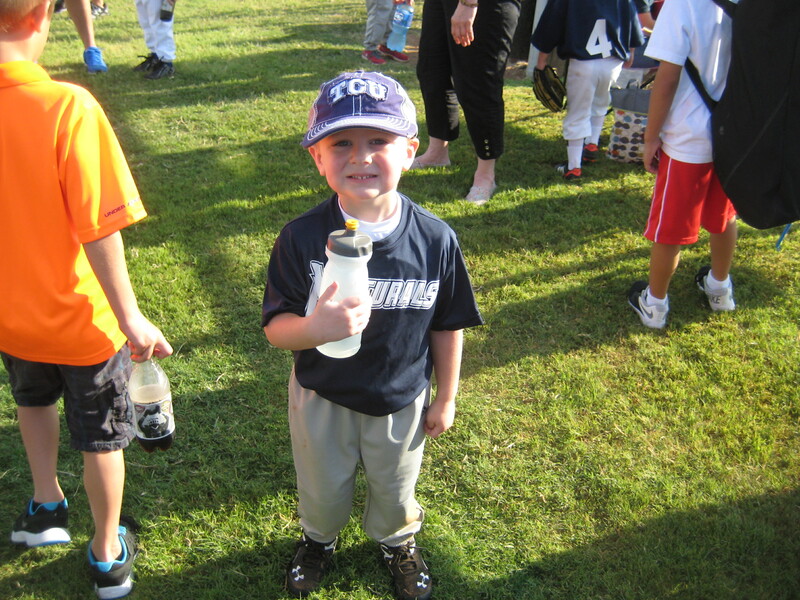 Sam got his uniform shirt from his coach’s wife (hats will be ready next week, thus today’s TCU hat) and he darted out onto the field for warmups! 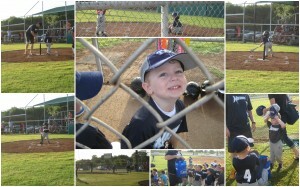 With each at-bat he got a base hit (it is t-ball after all), and he ended up making it around to score each inning. (Since this is instructional league, the kids only advance one base with each hit, regardless of where on the field the ball ends up, and they don’t advance on overthrows.) 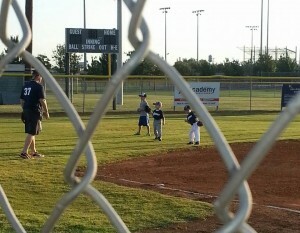 He slid into second and third each time (but not first – we don’t slide into first!) and popped right back up, ready to run some more. Because I took way too many pictures, here’s a fun collage. In the field he played catcher, pitcher (see videos below), and left field and loved it! 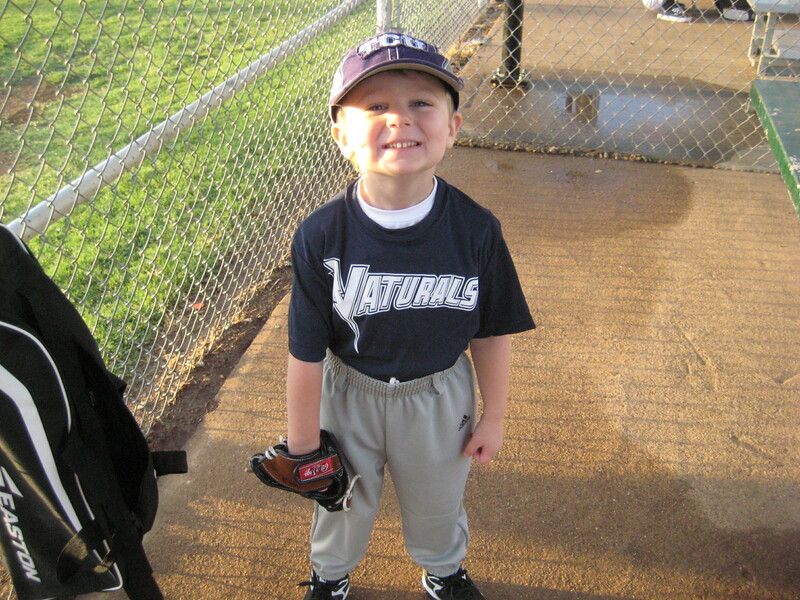 He was baseball ready the whole time. He hustled, he tried to catch the ball, he chased the ball, and he cheered his teammates. 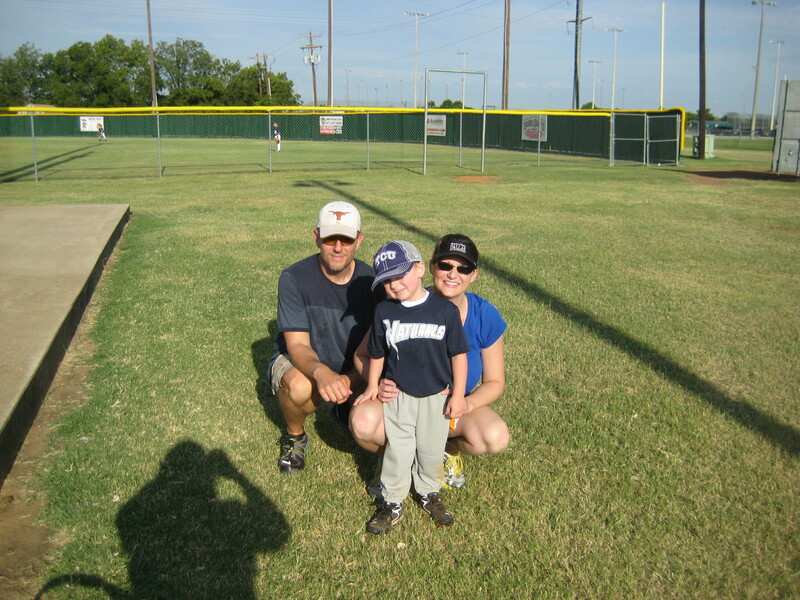 After the game, he told us his favorite part of the game was batting, because he got to slide. And he was ALL. SMILES. Obligatory pic with Mom and Dad after the game.